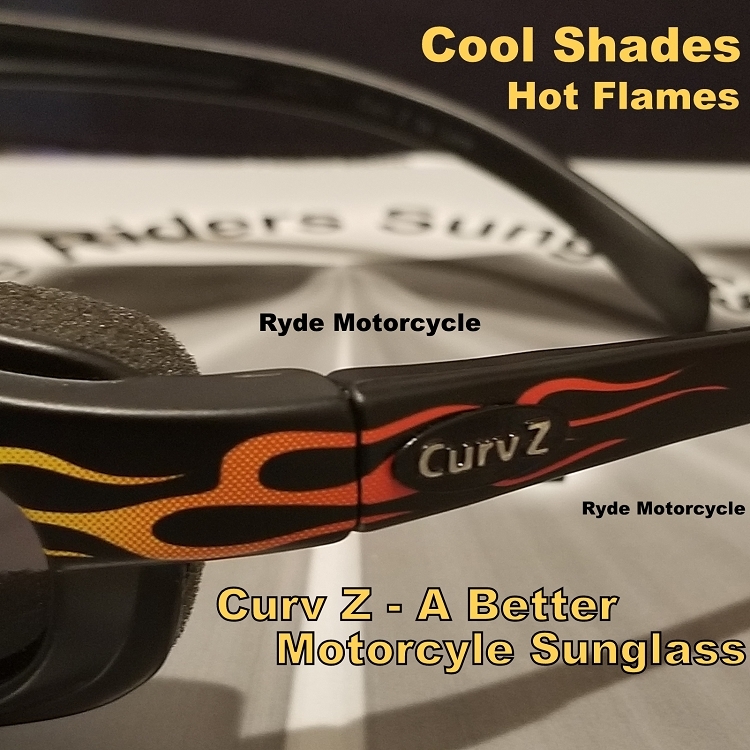 Item You Are Bidding On: You are bidding on brand new pair of black frames Curv Z motorcycle riding smoke sunglasses with cool looking flame accents. 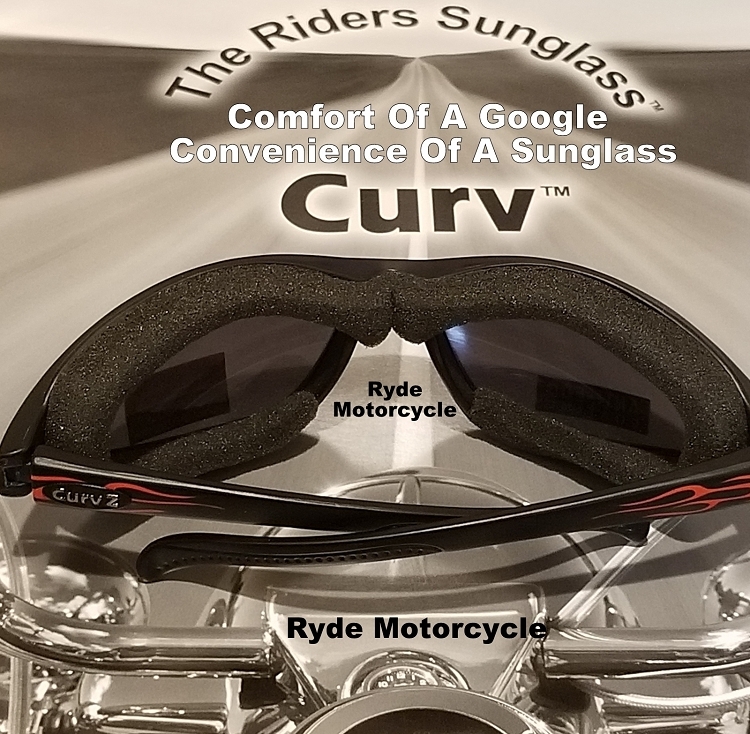 Curv Z is one of the best riding glasses available.The soft to the touch, closed cell comfort foam offers the wind protection of a goggle with the ease and convenience of a sunglass! The wrap around and soft foam design offers a tight windproof fit. These sunglasses fit most adult faces but are not designed for very small or very large faces. This model features a black frame with flame accents with smoked lense. The optically correct smoke lenses will offer you the eye protection you need when riding on bright sunny days. Curv-z sunglasses are better. A closed cell soft padding keeps the wind out and doesn't absorb perspiration. The durable soft padding provides a very comfortable fit that is sure to please. Shatterproof polycarbonate lenses with a 100% Anti fog coating and UV protection provide maximum visibility in poor conditions. Feature ANSI Z87.1 safety rating. Buy in confidence with Manufacturer Warranty for one year from date of purchase on all materials and workmanship! 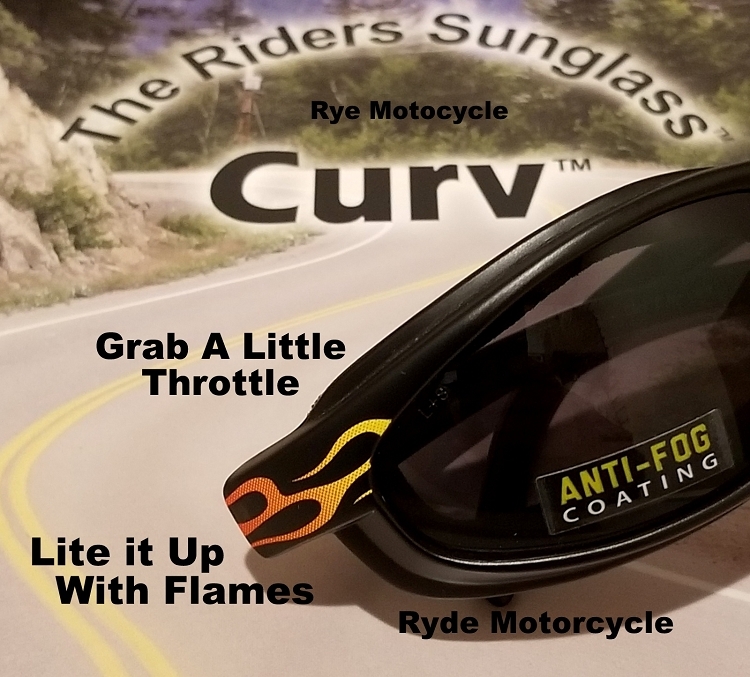 Curv-Z sunglasses offer all the features demanding riders expect! Unisex design and frame fits most adult faces. 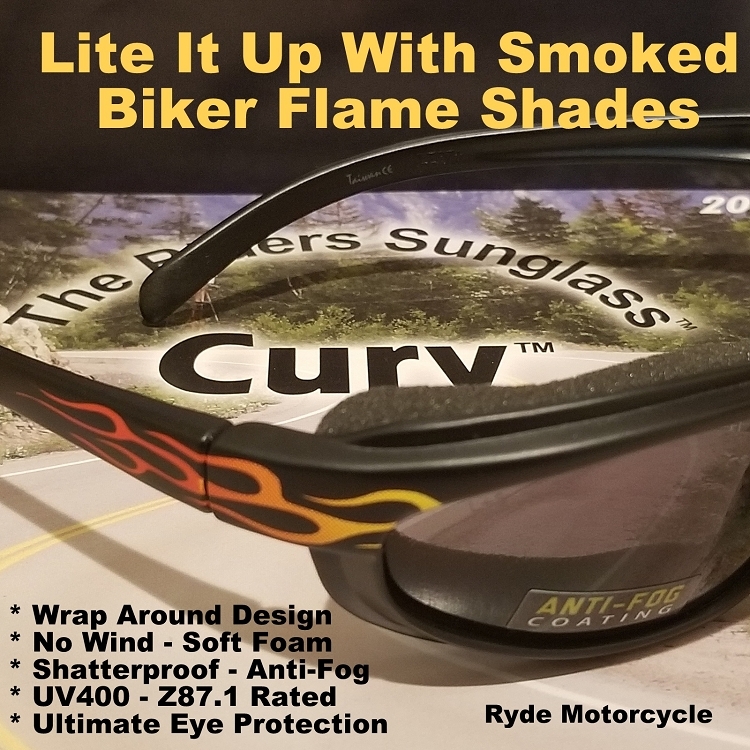 We believe our Curv-Z Riding Sunglasses would be a great addition to your riding gear! We offer a great price, quick reliable service and Freedomestic shipping! Buy in confidence. Place your order today . You will not be disappointed!